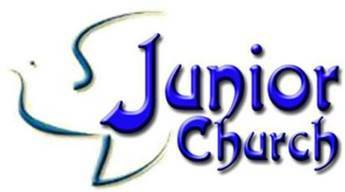 Junior church meets in tandem with the 9.30am communion service on the four Sunday of every month, except August. Junior church starts in church, where we help give out the hymn books and welcome people. Just before the service starts at 9.30am, we move out to the schoolroom next to the church for our own activities. We then rejoin the church service about 40 minutes later at the start of Holy Communion. At the end of the service we go to the front to tell everybody what we’ve been doing, and to find out what they did while we were gone. We discuss the gospel story for the day and have an activity sheet with pictures, puzzles and quizzes, we have a short prayer, and we often play a game or do a special craft activity. Children in school years Reception to year 6 can attend junior church unaccompanied. Children younger than reception are welcome, but need to be accompanied by a carer. The junior church team includes Rhoda (the lay minister), Sue (the tower captain) Sarah and Donna. Church is for all ages. Children are welcome to join in at all services, and the children's area at the back of church has plenty of toys, books and activity sheets if needed. The first Sunday of the month is specifically a shorter All-age service where we join together, from the youngest to the oldest, to be our whole church family. For further details please contact the co-ordinator Rhoda Blackwell or just come along!